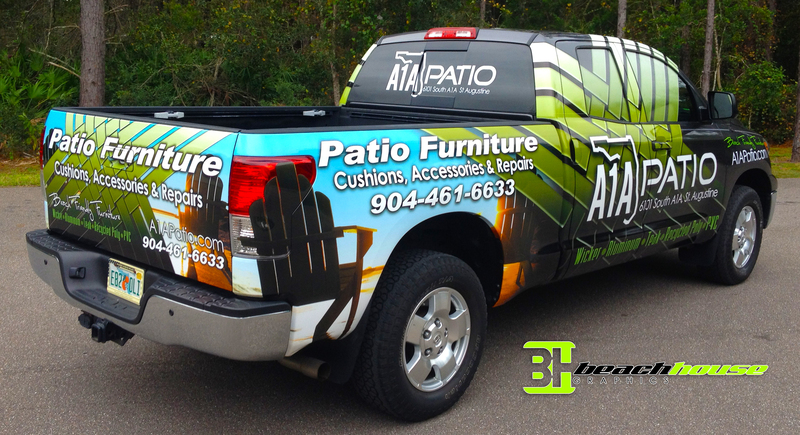 A1A Patio is our latest wrap, the partial wrap on their Toyota Tundra can be seen at their beach friendly furniture store in St. Augustine Florida. 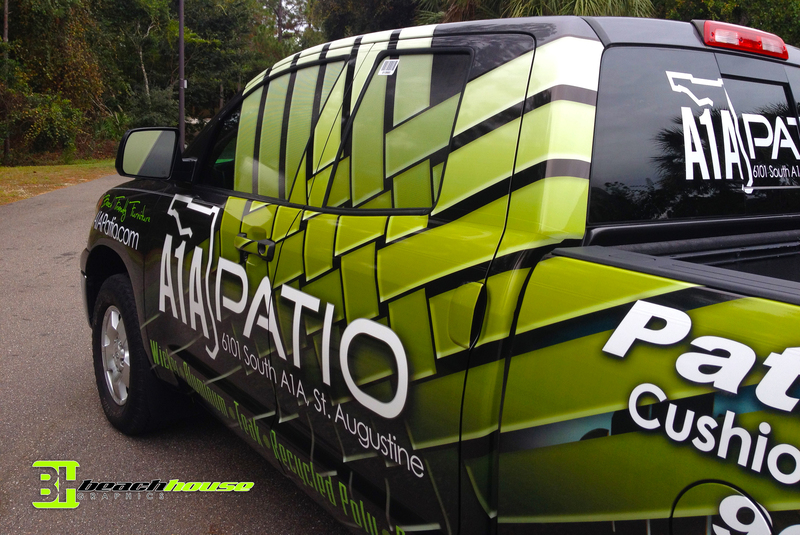 The wrap is a unique woven design with a beach image on the back of the vehicle. 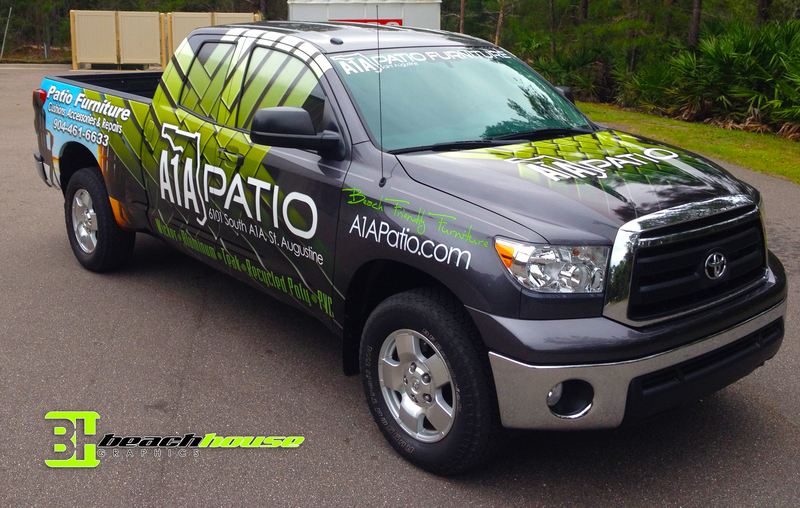 The wrap is done with 3M vinyl wrap material on the truck itself and a window perf (two way sticker) on all windows.